These days there is a huge amount of businesses that turn to VoIP providers. Experiencing poor VoIP call quality is not uncommon for businesses. It’s caused by jitter, latency issues, or a slow internet connection. However, most of the time, it’s not difficult to find and fix the issues. Here are some common reasons VoIP call quality gets sacrificed and how the effects can be minimized. In the world of packet-switching or connectionless networks, jitter is a usual culprit when it comes to bad or distorted VoIP call quality. For the large chunk of voice data to travel over the network, it has to be divided into smaller packets. Each data packet can take its own path to travel from the sender to the receiver. If the sequence of the packets get altered during transfer, it leads to a poor reconstruction of the voice at the receiving end. This eventually leads to distorted or scrambled audio. Jitter can be defined as the change in the delay after which the packets are received. Common causes for the delay can be inappropriate queuing, configuration problems, and network congestion. So, how do you remove jitters? Jitter buffers can be used to minimize the variations in the delay of received packets. They temporarily store the incoming packets to ensure that the order of the packets is preserved. The packets that arrive a little too late are discarded. VoIP is reliant on your internet connection to transfer voice packets and deliver its functionalities. 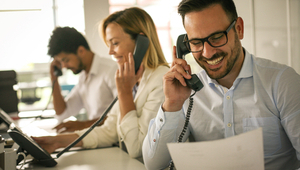 The speed, availability, and efficiency of your internet connection play a huge role in ensuring the quality of your VoIP calls. The bandwidth of your internet connection has to be substantial enough to support good voice quality. A bad internet connection can also become the root cause of latency and jitter related issues. It takes time for packets of voice data to reach the receiver. Ideally, this delay is negligible because fiber networks transmit data at high speeds. However, when it gets complimented by handling delays, it can become noticeable. Queuing delay can be defined as the time wasted after the packets get assigned to a transmission queue and before they actually start getting transmitted. During this period, the packets are kept in a buffer while other packets in the queue are sent on their way. Handling delay is when the devices in the network are responsible for forwarding data to its desired location. Delays will always be present in a network that’s saturated with data, but they can be minimized. An easy way of doing that is to prioritize VoIP traffic. Bandwidth reservation, MPLS (multi-protocol label switching), class of service, type of service, and policy-dependent network management are all effective techniques to give VoIP traffic the top priority in a network. Prioritizing VoIP traffic can result in a significant decrease in jitters and latencies. A router with inadequate routing or buffering or scheduling capabilities can also result in bad voice quality. The solution is installing special VoIP routers that cater to the needs of a VoIP network. This is a common issue as businesses often try to use the same network connection for both voice and data transfer. This is okay as long as you are prioritizing your VoIP traffic but if you haven’t got a router that can achieve this, then you can end up in trouble. For instance, if a user A on the network is currently making a call and another user B starts downloading a huge file on the same network, the quality of the call can get affected if VoIP prioritization isn’t in place. However, if a specialized router is being used, it prioritizes user A’s call over the download initiated by user B. This way, the call quality isn’t affected. Bandwidth saturation can occur when a network tries to transmit data that exceeds its capacity. The available bandwidth for every initiated call can drop significantly, leading to diminished VoIP call quality. However, bandwidth saturation can easily be controlled. You need to be aware of the number of people that are connected to your network. Additionally, it’s important to know the type of applications they use. A network architect should ensure that the network bandwidth is capable enough to entertain all the users and all the requests without letting the network get too saturated. Another reason for poor VoIP call quality can be an undependable internet service provider. While choosing a vendor, make sure that you get a trial network set up. This way, you can run connectivity tests to ensure the reliability and suitability of the connection. For excellent VoIP call quality, the value of jitter should be 1-2 milliseconds and there should be no packet loss. If your jitter values go up to 7ms and your packet loss is around 1 percent, you will still get acceptable quality in your voice calls. 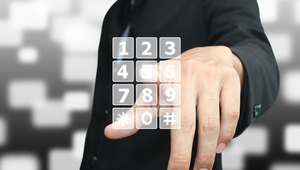 The voice call quality is arguably the most important facet of a VoIP system. In order to ensure high levels of quality, the avoidable delays need to be removed from the system. An internet connection with substantial bandwidth along with sophisticated VoIP routers can go a long way. It ensures low jitter and latency in transmitted traffic, eventually leading to excellent voice call quality. 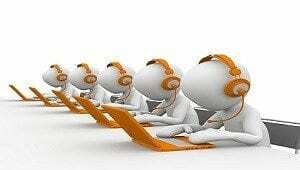 Looking for a reliable VoIP provider with excellent service? We recommend Vonage, RingCentral, or Alliance Phones.